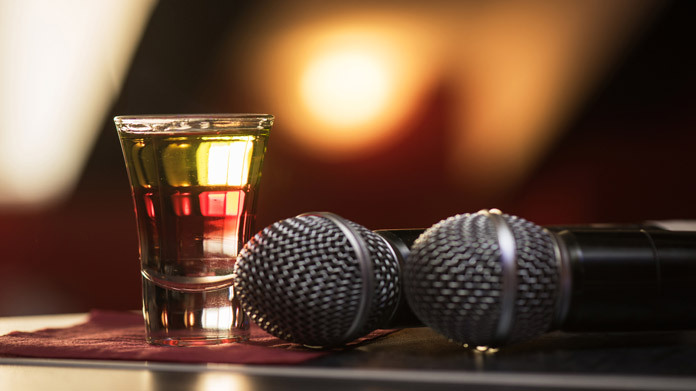 Our guide on starting a sports bar business covers all the essential information to help you decide if this business is a good match for you. Learn about the day-to-day activities of a sports bar business owner, the typical target market, growth potential, startup costs, legal considerations, and more! Sports bars offer patrons options for watching their favorite sporting events, while enjoying cold drinks and hot food in a lively atmosphere. Successful sports bar owners must be quite knowledgeable about the restaurant and bar business. A background in either of these fields of work is highly recommended. Managerial experience and a detailed eye, regarding finances, are also positive attributes. What happens during a typical day at a sports bar business? Customers are the goal of any successful business, especially a restaurant. Day to day activities at a sports bar, then, focus on this aspect. Restocking the bar and kitchen are regular activities, along with maintenance of the bar, in general. Contacting distributors and ordering supplies ahead of time ensures you don’t run out of customer favorites. Cleaning and updating the establishment’s amenities, such as televisions and sound system(s), are also necessary to maintain customer patronage. 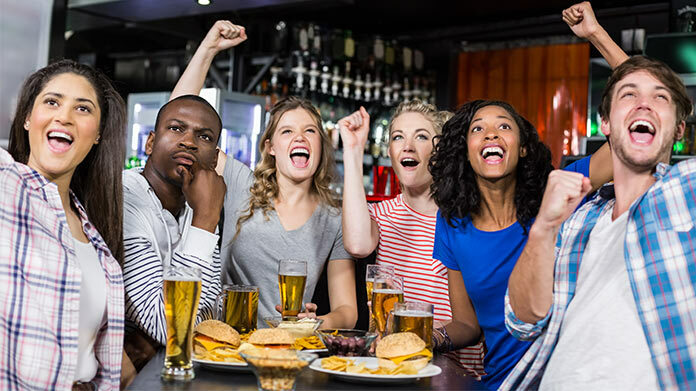 Your customer base are sports fans who enjoy having some drinks while watching their teams compete. Most customers will also gravitate to a local bar for location and familiarity. How does a sports bar business make money? Sports bars make money off of the food and drinks sold to customers. What is the growth potential for a sports bar business? With the popularity and exposure of sports constantly expanding, bars which cater to sports fans can be quite popular, as well. This also means there can and will be added competition. Your sports bar can be very successful if you have a good location, offer top quality entertainment, food, and drinks. Research your area to see which sports are most popular, if you would have enough regular customers, and what food and drinks fare best with your potential customers. The initial leg work will best prepare you for establishing a successful sports bar. Your growth potential will hinge on these numbers. What are some skills and experiences that will help you build a successful sports bar business? As mentioned above, extensive knowledge of the restaurant and bar business is essential for striking out on your own. You will also need to create and maintain relationships with your distributors, as they will almost work as an outside partner in your business. Understanding and following trends in these industries is also critical, as is knowing the sports world. 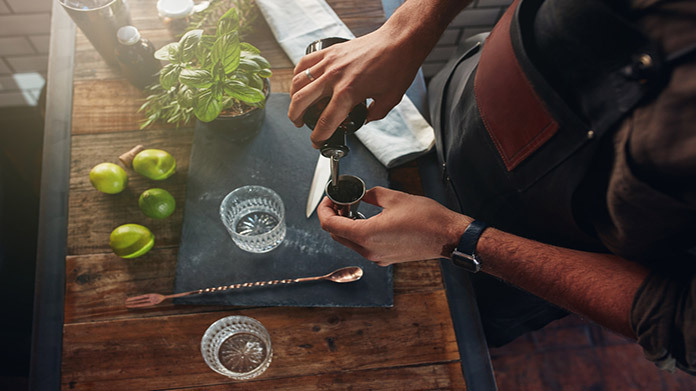 Your knowledge of your bar’s specialties, sports, food, and drinks, will help draw customers who share those same passions. Finally, make yourself available to your patrons. Having more personal relationships with the people who frequent your establishment is an important aspect of your job. These customers will become more like friends and family over the years of maintaining a successful business. What are the costs involved in opening a sports bar business? The start up costs for a sports bar can range anywhere from $100,000 to $1 million, depending on the size and scope of the operation. An average sports bar start up can usually be estimated around $400,000. Rental of an existing building, or construction and ownership of a new building, will affect some of your costs. Your liquor license will also add an initial fee to the total, somewhere between $15,000 and $400,000, depending on the location and local or regional laws. The build-out of your bar and kitchen, the tables and seating, electronics, and games, such as arcade style, pool, darts, etc. will also need to be purchased with the seed money. What are the steps to start a sports bar business? Form a legal entity. Establishing a legal business entity prevents you from being personally liable if your sports bar business is sued. Open a business bank account. A dedicated checking account for your sports bar business keeps your finances organized and makes your business appear more professional to your customers. What are some insider tips for jump starting a sports bar business? Customers are your number one concern. Initially, you will be looking to attract, with retention being the long term goal. Stay aware of what customers want and don’t be afraid to ask your regulars what they like or might change. 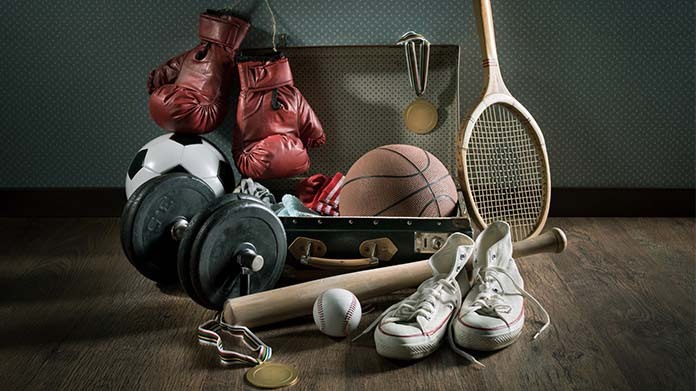 Make the bar and sports industries your business and become a student of both. Offer weekly specials and incentives to get people through the door. Create club or organization nights in which groups will meet up at your bar. Advertise with upcoming sporting events on a bar calendar. Host trivia or sports competition nights, such as pool or dart tournaments. Often, word of mouth will be your best advertising service. Keep a pulse on customer responses to your bar. Additionally, websites, social media, and print advertising are all acceptable, and frequently low cost, options for spreading the word about your business. Finally, signage for your sports bar will bring in new customers who find you on a whim or via exploration. As mentioned above, customers are the lifeblood of your business and are critical to having a successful sports bar. Return customers happen when they feel comfortable and appreciated. It is critical to be consistent in quality and service to your customers. Make sure they leave each time with a positive outlook on your establishment. Offer incentives for return customers in the form of free drinks or food, discount certificates and recognition of their continued patronage. A sports bar will need a capable bar and wait staff from the beginning, although the size of your team can be minimal to start, depending on the size of your establishment. As your business grows, you’ll be able to continue adding capable members to your team. Certain state permits and licenses may be needed to operate a sports bar business. Learn more about licensing requirements in your state by visiting SBA’s reference to state licenses and permits. A sports bar business is generally run out of a standalone building. Businesses operating out of a physical location typically require a Certificate of Occupancy (CO). A CO confirms that all building codes, zoning laws and government regulations have been met. Before leasing, confirm that your landlord has or can obtain a valid CO that is applicable to a sports bar business. Review all building codes and zoning requirements for your business’ location to ensure your sports bar business will be in compliance and able to obtain a CO.
Customers should be charged according to market prices of restaurants and bars in your region. Research the average mean pricing of your potential competition and find a fair, yet profitable price point for your food and drink. What are the ongoing expenses for a sports bar business? A majority of your expenses will pertain to the restocking of food and drinks. Liquor, beer, and wine restocks, along with whatever bar food you may offer, will need to be ordered weekly, if not more often. You should be able to estimate your needs, based on customer patronage, within a 6 month period of operations. How much profit can a sports bar business make? Depending on the location and size of your establishment, an average bar will make $20,000-$30,000 per week. That adds up to more than $1 million per year. Much of this money will go back into the maintenance of the bar and paying your bar and wait staff, but sports bars can prove to be quite lucrative businesses, if managed correctly. Offer clubs and organizations options for hosting their meetings at your establishment. Create special nights for sports competitions and trivia nights. Offer weekly specials to get more customers through your doors. Offer catering services, once you’re established, and continue to reach out to the local community. Becoming a staple of a community will go a long way in creating good will and keeping customers positive about your business, ensuring more customers for more sports bar visits.